Jane Campion (The Piano), writes and directs this subtle and measured film. A portrait of love and loss centred on the last three years of Romantic poet John Keats' short life. Based on true events; Maria a young working-class woman wins a camera in a raffle. 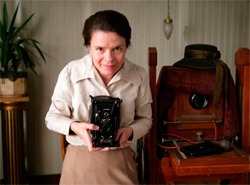 Through the challenging years ahead her talent unfolds as she records the lives of those around her in the hardship of early 20th century Sweden. Ondine is the story of Syracuse, a simple fisherman who catches a beautiful and mysterious woman in his trawlerâ€™s nets. The woman seems to be dead, but then she comes alive before Syracuse's eyes and he thinks he may be seeing things. However, with the help of his ailing, yet irrepressible daughter, Annie, he comes to believe that the fantastical might be possible and that the woman (Ondine) might be a myth come true. An award winning indie comedy set in a Beirut beauty salon where a group of women find duty, friendship and possibility whilst seeking love, marriage and companionship. Stephen Poliakoff writes and directs this historical thriller; the story centres on the formidable Keyes family as they strive to uphold and preserve their very traditional way of life as Britain prepares for war. 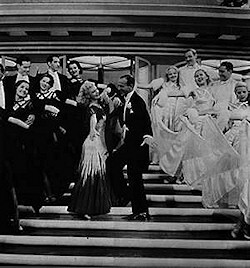 Put on your top hat, tails, ball gown and dancing shoes ... join us for a free cocktail, canapÃ©s and dance the night away with Fred and Ginger. It marked a sickening and devastating second act to 9/11: on July 7, 2005, a series of bombs exploded on the London subways, all ignited by terrorist extremists. Over 700 people were severely injured and 56 people killed. Rachid Bouchareb's drama â€˜London Riverâ€™ puts a human face on this conflict. Ousmane (Sotigui Kouyate) is a Muslim living in France, Mrs. Sommers (Brenda Blethyn) a Christian war widow living on the British Channel Isles. Though unacquainted, these strangers find themselves united in the city of London, linked by a shared tragedy: each has lost touch with a child amid the attacks - Mrs. Sommers, a daughter and Ousmane, a son - it so happens that the two were dating. Life's a messy business! 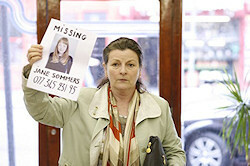 In order to pay for her son's schooling, a young mum starts an unusual business - cleaning up crime scenes! Amy Adams and Emily Blunt star. 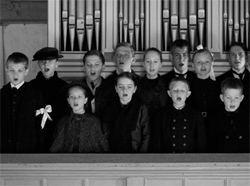 Filmed in black and white with extraordinary attention to historical detail, writer/director Michael Haneke (Hidden) offers us an uncomfortable viewpoint as the school teacher recalls the mysterious and sometimes disturbing events that occurred in a German village in the months leading up to the outbreak of WW1. A gentle, amusing tale of a demanding, elderly mother and her middle-aged son, Gianni. It's the weekend of Ferragosta (August holiday) - when everyone leaves Rome to have fun ... but for Gianni, unexpected guests arrive and make mischief! This film stars the ever watchable Ricardo Darin (Nine Queens â€“ reel people 2003/4 season) as a retired legal counsellor trying to write a novel whilst haunted by an unresolved case from his past, as well as unrequited love for his superior, the beautiful Soledad Villamil. It is a tense thriller, peppered with sharp humour. Cruelly overlooked at the Box Office and Awards ceremonies this is a lovingly crafted look at the strike by women at the Dagenham Ford factory in 1968 that led to the Equal Pay Act. This is the kind of 'socially aware' comedy drama that the Brits do so well ( Brassed Off, The Full Monty, Billy Elliott etc.) with a fantastic British cast and amazing late '60's fashions.